I am a mother. 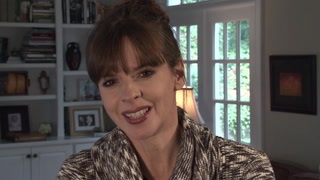 I am also a dog owner and dog trainer who has committed my life to helping people find the most effective, humane and responsible way to live in harmony with their dogs while also affording them the respect they deserve. Over thousands of years, these beautiful creatures have gradually been domesticated by humans, so it is therefore incumbent upon us as the higher species to give them the tools they need to live successfully in our strange, human environment. Too often, however, we fall short and fail to understand the intricate yet ultimately simple dynamic that exists between man and dog, transposing our human insecurities and weaknesses onto dogs and assuming that they’re capable of being treated like and judged as four-legged humans. 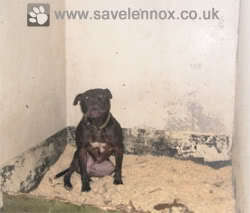 Lennox was confiscated by the Belfast authorities because of how he looked. This fundamental disconnect has recently been exposed publicly once again by the recent firestorm surrounding the case of Lennox, a Bull Dog/Labrador cross owned by an extraordinarily responsible family in Belfast, Ireland. 10 months ago, Lennox was confiscated by the authorities in Belfast simply because his bodily dimensions fall into a breed category the government calls a ‘Pit Bull Type’. Pit Bull Type dogs are one group among several breeds which have been banned in Northern Ireland by Breed Specific Legislation (BSL). 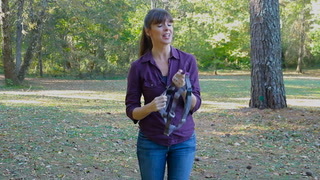 The general concept underpinning BSL is that the most effective way to determine whether or not a certain dog could potentially pose a threat to humans is by classifying and generalizing entire breeds of dogs as ‘dangerous’, regardless of the individual dog’s temperament, behavioral history or owner’s actions. It continues to confound me that there are still proponents of BSL given both the behavioral science which is now available and the abysmal track record of municipalities that have attempted to curb dog attacks by instituting BSL. We know so much more than we did even 20 years ago about how dogs think, what they feel, how their brains are wired (very similarly to ours, as it turns out), and what could potentially cause them to aggress. Ironically, one of the most commonly found attributes among aggressive dogs is not their breed, but rather a lack of confidence and insecurity. Think of the typical schoolyard bully – is he generally a self-confident kid or one who actually suffers from significant insecurity issues? The same general concept can be applied to dogs. Regardless, counties, cities and entire countries around the world continue to turn to BSL policies in a desperate attempt to protect their public from the rising number of serious (and sometimes fatal) dog bites. I share this desire to reduce the number of dog attacks. As a doting mother of a beautiful 7 year old girl, my heart literally breaks every time I hear about another child who has been mauled by the family dog, which is why I have set up a Dog Bite Prevention Task Force to help educate the public about responsible dog handling and safety. The vast majority of fatal dog attacks share one glaring yet often-overlooked characteristic: usually at least one component of the scene is not in its usual environment. Either the dog is staying with the uncle, the grandparents are babysitting for the child, or someone outside their normal circumstance is placed as the primary guardian. The key to avoiding these tragedies is not to make owning certain breeds illegal, but rather to ensure that everyone in charge of dogs and/or children is educated about safe practices and never leaves any dog alone with any child. Simply put, any breed of dog can bite, and any breed of dog can make a perfect family pet. Yes, the bigger and stronger the dog, the more damage it is capable of inflicting, although I have seen horrific footage of bite wounds from small dogs such as Jack Russell Terriers and Chihuahuas as well. Which breed of dog was named ‘most aggressive’ in recent scientific studies? The family Dachshund. Does that mean we should add Dachshunds to the list of ‘Dangerous Dogs’ as defined by lawmakers in favor of BSL? Of course not. Years ago it was German Shepherds in the bullseye. Then Rottweilers. Now Pit Bulls. I’ve trained countless Pit Bulls, and have found them to be among the most loyal, smart and trainable dogs I’ve worked with. That said, it is indeed possible to turn them into deadly weapons if they’re in the wrong hands, just as it is with any breed of dog. Every dog is different, and those differences are not due to the breed of the dog, but rather to the individual dog’s breeding and the environment in which it was raised. Using aggression, intimidation and forced submission on a fearful, unconfident dog is like treating fire with fire, as the dog’s issues are often merely suppressed rather than treated and resolved effectively. In the majority of cases, dogs like Lennox that are confiscated due to BSL are inhumanely warehoused and dealt with using this confrontational approach, which often creates the very problems the law was attempting to avoid. Having not had a chance to evaluate Lennox for myself since he’s been incarcerated, I can only hope that his tortuous past few months have not made him another victim of this vicious cycle. 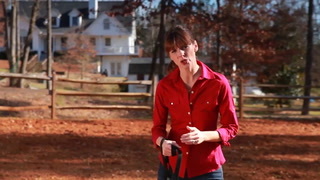 Victoria has worked with countless pit bulls and considers them fantastic pets in the right hands. So if we’re not going to ban certain breeds, what’s the solution? As a society we must focus on the other end of the leash. First, we must make a concerted effort to crack down on and eliminate ‘backyard’ breeders and puppy farmers who churn out puppies with no regard for the well-being of the dogs and are only interested in making money. But the most effective way to reduce the number of dangerous dogs is to stop irresponsible owners from raising their dogs to be aggressive, intimidating potential weapons. It infuriates me to see the number of ‘macho’ men who want to get a big, strong, intimidating-looking dog in order to stroke their own egos and replace whatever ‘manliness’ may be missing from their own anatomy. Bully breeds in particular have borne the brunt of this phenomenon lately, where just because of the way the dog looks, he’s classed as a dog not to be messed with around the neighborhood. The same concept is at play (though usually with less ominous results) when a trendy soccer mom wants to get the latest designer crossbreed because it is the ‘in’ thing to do. I’m always frustrated when I hear people say they want to get a certain type of dog ‘for protection’, not realizing that actual protection dogs are incredibly rare, while their family pet-turned-guardian is actually nothing more than a ticking timebomb waiting to go off once their child brings a friend over for a playdate. 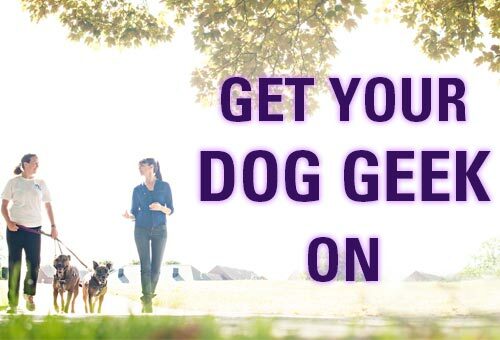 If you feel like you need protection, invest in an alarm system instead of a dog. If we could somehow prosecute those who willingly encourage their dogs to be aggressive, I firmly believe the number of tragic accidents would decrease significantly. But even if that’s not possible in the short term, or even if one chooses to ignore the facts that science has presented to us about animal breeds and behavior, there’s one more simple but powerful argument against BSL: it doesn’t work. 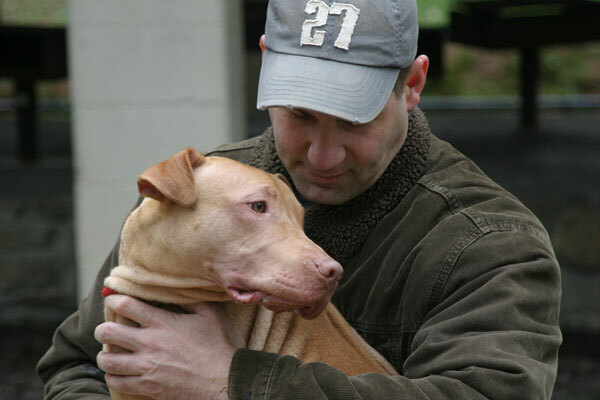 Statistics have shown that throughout the world, wherever BSL has been initiated, the number of dog bites has actually increased since the legislation has passed. This is the case in Scotland, England, parts of Canada, certain cities in the US, the Netherlands and beyond. In every single case, dog bites have become more of a problem since governments began banning breeds. What more evidence do we need as a society to realize that BSL is ultimately ineffective, if not also unfair? So as Lennox passes his seventh birthday in isolation in his Belfast jail cell, I urge you to contact your local government and speak out against BSL while calling instead for greater responsibility by owners. Let’s give the animals we’ve domesticated the best possible chance to succeed in our world – it’s the right thing to do not just for the dogs, but for our safety as well.